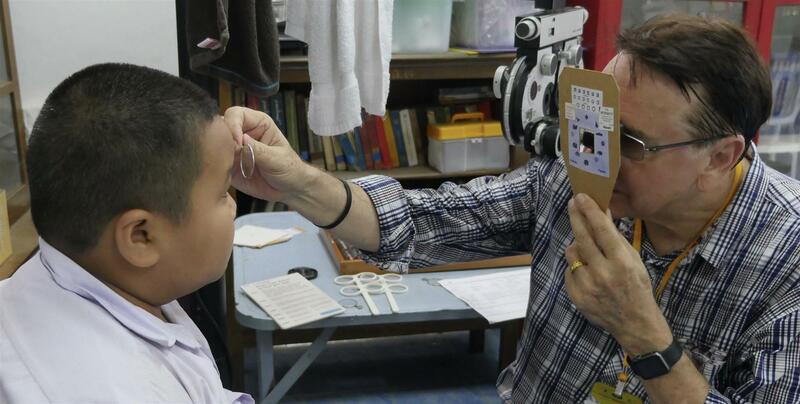 Dr. Peter Bell’s Children’s Sight Project (CSP) has moved beyond being solely a CMIRC project. The CSP has evolved and is now working with 5 Rotary Clubs, with each club responsible their own CSP clinics. CMIRC has full responsibility for the 11 municipal (tessabaan) schools in Chiang Mai; the same schools served by the CMIRC Children’s Water Safety and Drowning Prevention Project, as well as the Baan Piang School. CMIRC will collaborate with other Rotary Clubs for the CSP clinic at Baan San Paa Sak (Hang Dong). Assistants come from all the clubs and beyond. Peter has built a strong collaboration between the clubs he works with. Congratulations Peter! Here is his latest project CSP update. 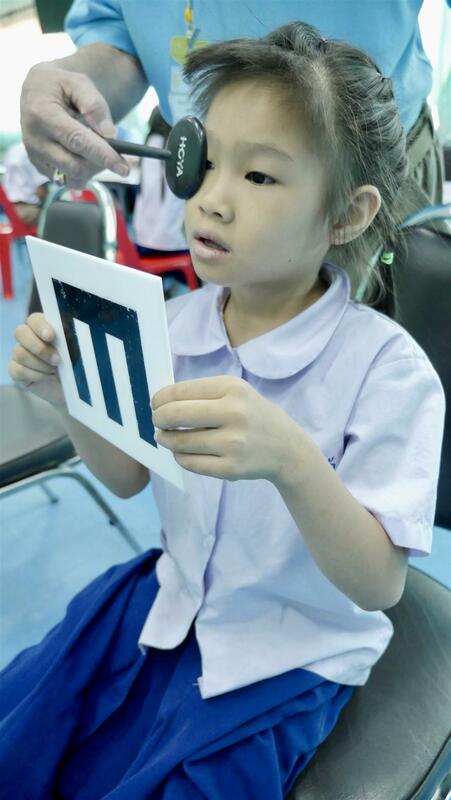 The Children’s Sight Project provides comprehensive eye sight exams and free spectacles to the children in the Chiang Mai Province and surrounding districts. As of July 2017, over 2500 children have been tested, with approx. 10% of the children requiring spectacles to improve their vision. All Schools in the Project are visited on an annual basis, so as the children can be re examined and glasses updated if necessary. We expect to visit 30 schools over the coming 12 months!!!!. The Rotary Clubs involved are reponsible for specific schools/institutions, with a few of the larger schools, all 5 clubs partipate. CMIRC is responsible to supply the cost of the spectacles etc. at the 11 Tessabaan Schools, Baan Piang and collaborate with the other Rotary Clubs at Baan San Paa Sak ( Hang Dong) and the CMJO&PC. Want to support the Project?????? 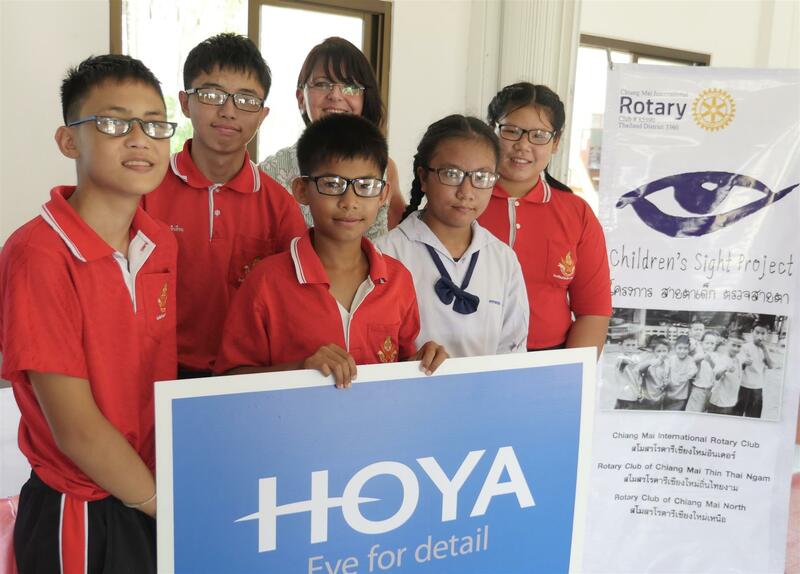 If you donate $100, the project will effectively deliver $1,000 of value to the children, as we are fortunate to heve generous sponsors in kind- namely Hoya Lens Thailand and WE Do Asia- these companies donate free lenses and new spectacle frames and cases. So our costs are small, but we deliver quality new spectacles to the children.